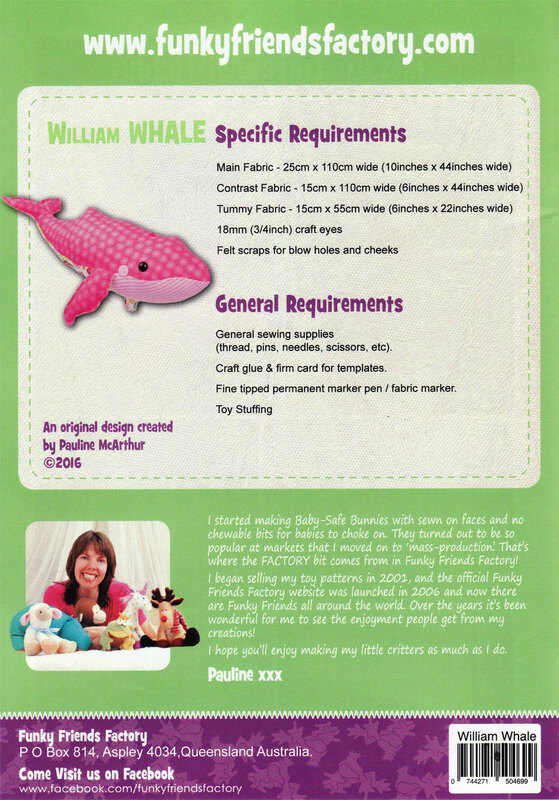 Finished Size for William: 50cm (20 inches) long! 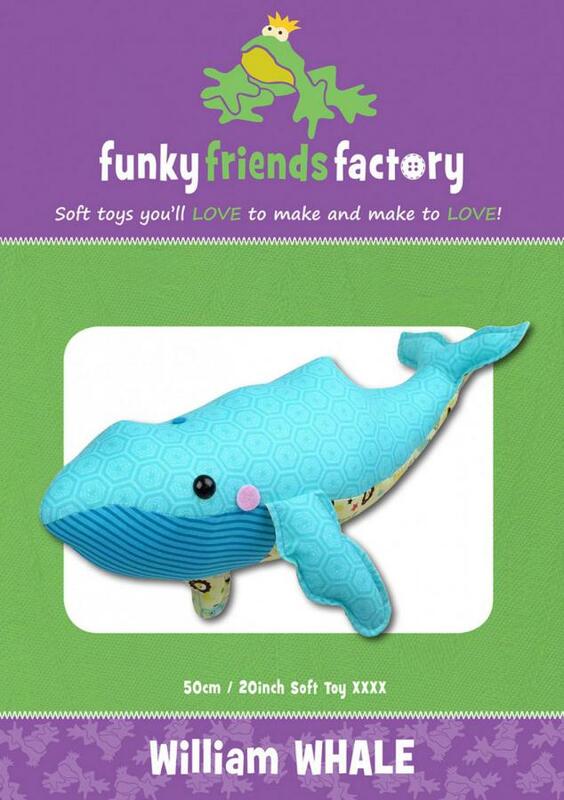 William is a playful baby whale who loves frolicking in the waves with his pod. 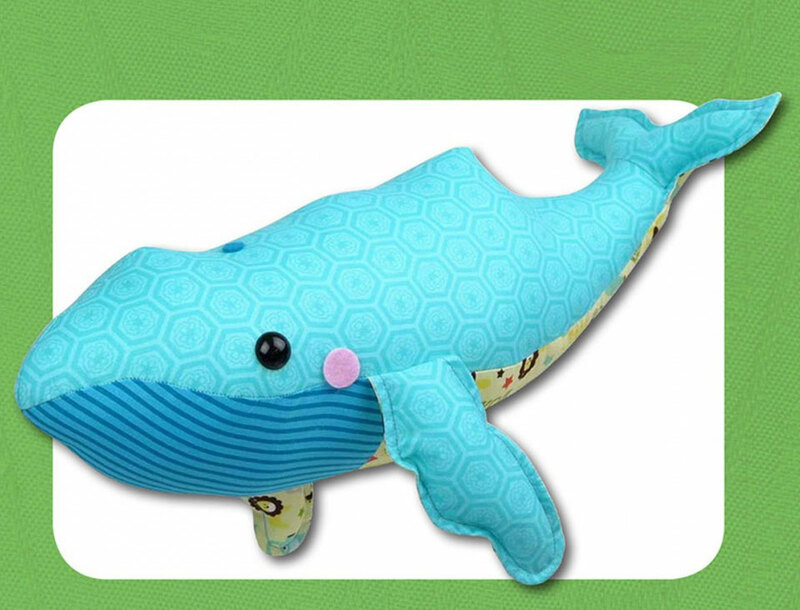 Although whales are quite large, William is a lovely size for a child to cuddle! 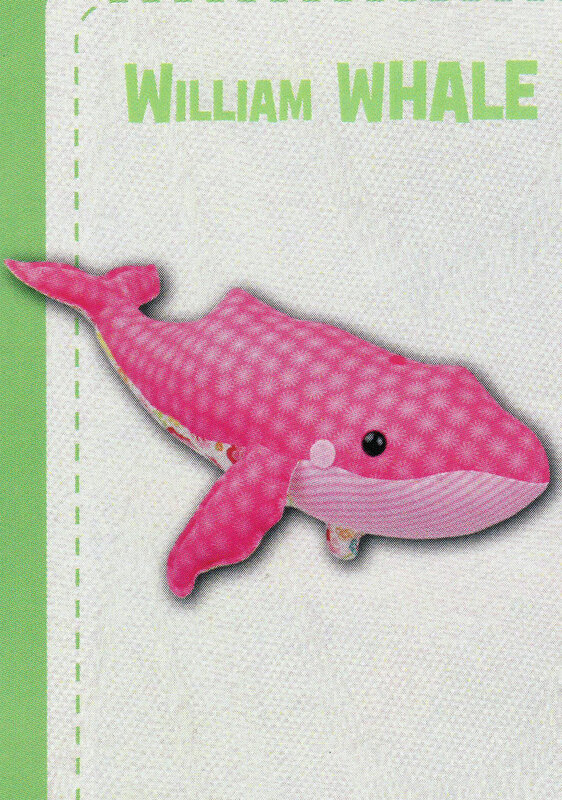 This is a quick and easy pattern to sew - perfect for beginners.